Class A Owner User Office Building sold in Arcadia. 5060 Building LLC in Phoenix (Christopher Erblich, manager) paid just over $5.050 million ($176.43 per foot) to buy a 28,628-square-foot office building located at 5060 N. 40th Street in Phoenix. The Seller was 5060 N. 40th Street LLC in Glendale (Harry Papp, Erik Miller, principals). 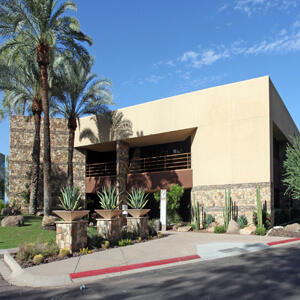 The Seller was represented by Josh Landers of Commercial 33 and Ray Cashen of Cashen Realty Advisors in Phoenix. The new Owner plans to locate their wealth management business on the second floor of the building. The 2.65-acre property was developed in 1983. The Buyer acquired the asset with a $4.8 million loan from Enterprise Bank & Trust.